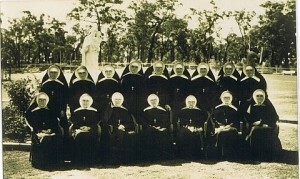 Our school was originally opened in 1921 as a boy’s college by the Sisters of St Joseph of the Apparition. 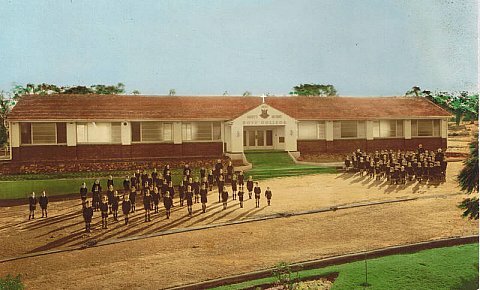 At that time there were five boarders and twelve day pupils. By 1926 a second storey was added to cater for more boarders. 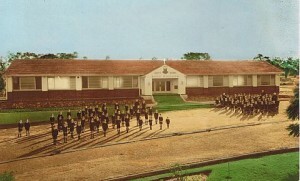 Student numbers grew over the years as did the size of the school facilities. 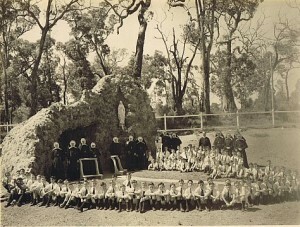 In 1946 the sisters and boys built a Grotto to honour Our Lady and often had Mass there. That statue of Our Lady is now at the front of our school. In the early 1950’s a new brick school was completed and was blessed by Bishop Goody. 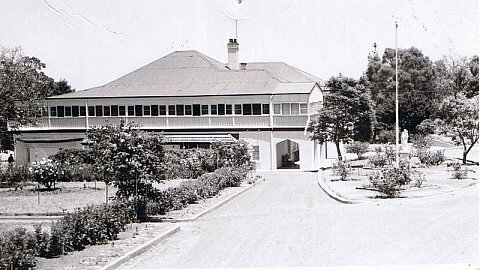 The year 1969 was the last year Mary’s Mount catered for boarders and the school became co educational. 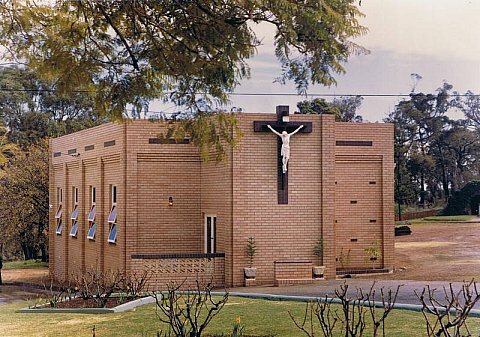 By 1979 student numbers were up around 460 with two classes in each year level from 1 -7 and Mary’s Mount had a beautiful new chapel. 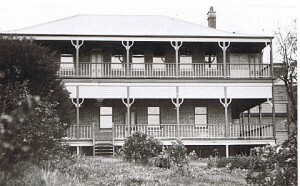 In 1987 the original two storey building from 1926 was demolished and a new school building with six classrooms, a toilet block, staff administration areas and a library was built in the front garden area. For the 75th year celebrations in 1996 the original wrought iron gates from the driveway entrance to the old school were set into the walls on each side of the new entrance. Also a plaque, for the big bell ‘Joseph’ was installed. This is the bell each year 7 student rings on their last day at Mary’s Mount. ‘Joseph’ was housed in this bell tower in the 1930’s. 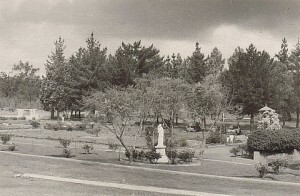 In 2003 the redesigning and landscaping of the quadrangle gardens and playground in front of the chapel took place and water wise plants were planted by each class in the new garden beds. The original statue of St Joseph and baby Jesus as seen in this 1950’s photo still stands in the new playground. 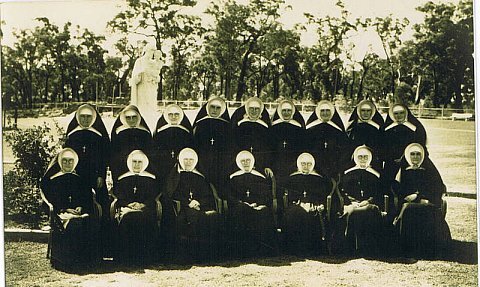 Since 1921 The Sisters of St Joseph of the Apparition have endowed our hill’s community with their Faith, their spiritual guidance and their prayers. They have educated hundreds of children in the three R’s as well as teaching them Jesus’ message of love and service to all. 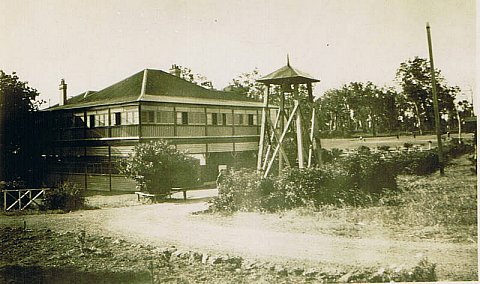 Our school is their lasting legacy to our community.